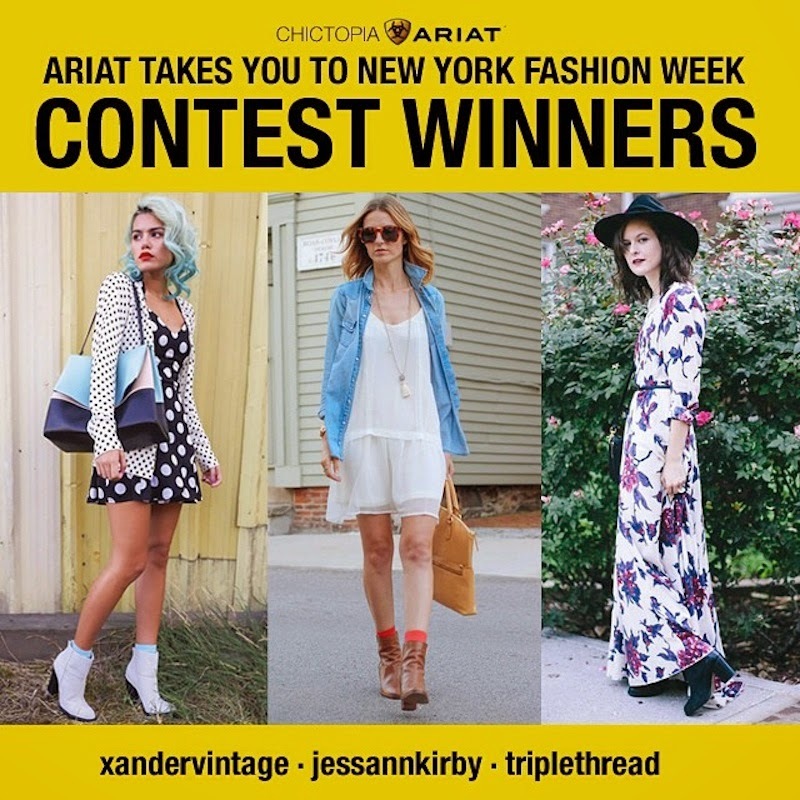 I wore this look while shooting with Chictopia and Ariat during New York Fashion Week a couple of days ago. We ended up shooting in Central Park, perfect location for my bohemian outfit. We did a fun video…all winners and 2 other bloggers are going to be part of it- can't wait to see the final result and show it to all of you. There's something about fringe and lace…they were just made for each other, PLUS the paisley dress was the perfect final touch. Este look lo utilicé mientras grababa un video cheverísimo junto Chictopia y Ariat en la Semana de la Moda. El video lo grabamos el viernes y terminamos grabando en Central Park porque la idea era ir a sitios típicos de Nueva York. Central Park fue perfecto porque iba con la onda bohemia de mi look. Las otras bloggers que fueron jueces del concurso y las ganadoras, son partes del video… ya quiero ver el video, y como todas utilizaron sus botas Ariat. Considero que los flecos y el encaje son dos texturas que fueron hechas una para la otra, y mi vestido de bacterias le dió el toque final al look. Me enamore de tu vestido y los collares!! el look completo genial! Gorgeous dress and vest! Love the style! I really love how much you play with your looks. I recently saw a photo of you with an edgy look and LOVED it as well. Very well put outfit! Love it! I love everything about this look!!!! It's so mod-retro!